The organization was established on December 10, 1847 by Dr. Reynell Coates of Philadelphia, PA, as the Junior Sons of America, for young men aged 16 to 21. It is difficult to trace records from 1847 to 1868, due to the Civil War and many members that gave their final rewards and records were lost or destroyed. 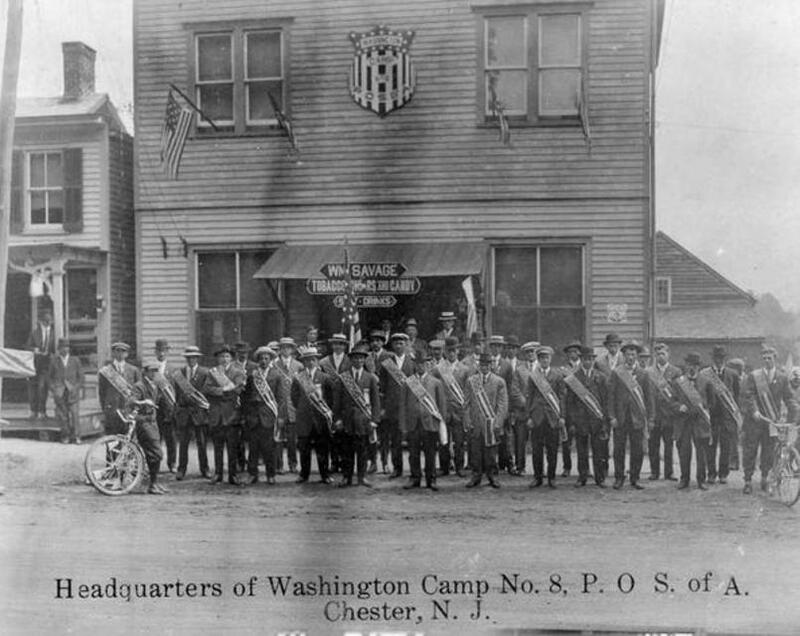 Camp #1 of Pennsylvania was granted the right to organize and charter camps in other states for native-born Americans. By this time, there were camps in 20 states. 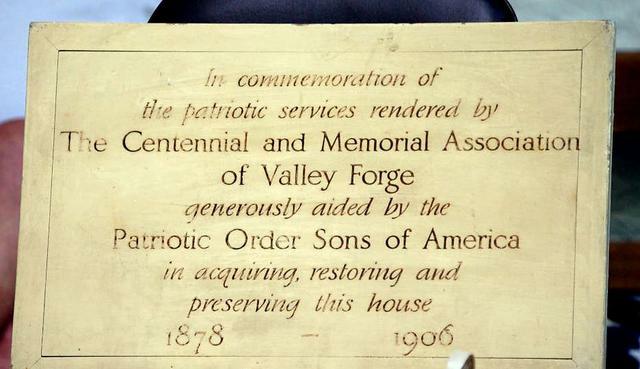 In 1868, the organization was renamed the Patriotic Order Sons of America and membership was now open to anyone above the age of 21. 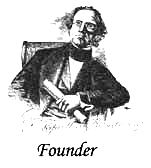 The First National Convention was held from March 5-6, 1872, in Allentown, Pennsylvania. At this convention, subordinate camps outside of Pennsylvania were released to the National Camp. The founder of the organization, Dr. Reynell Coates, was invited to join the Patriotic Order Sons of America at the age of 75. 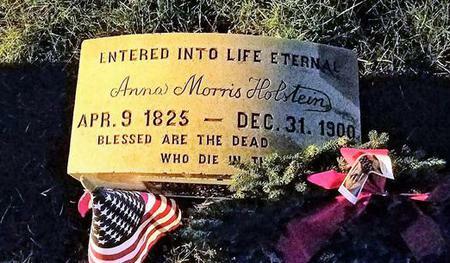 He died in 1886. Originally, he prepared the entire Ritual for the Junior Sons of America. He prepared the constitutional laws, and was the author of the preamble. He also selected the odes, opening, closing, and initiation -- all of which are still used today. By 1882, there were camps in six other states. The P.O.S. 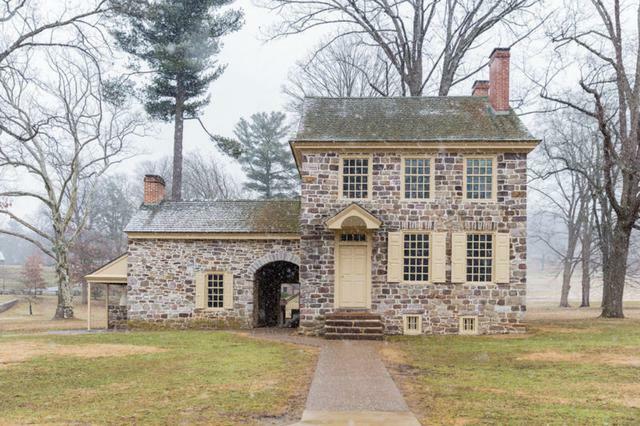 of A. was able to raise the funds in six months to restore and save Washington's Headquarters for future generations to enjoy. 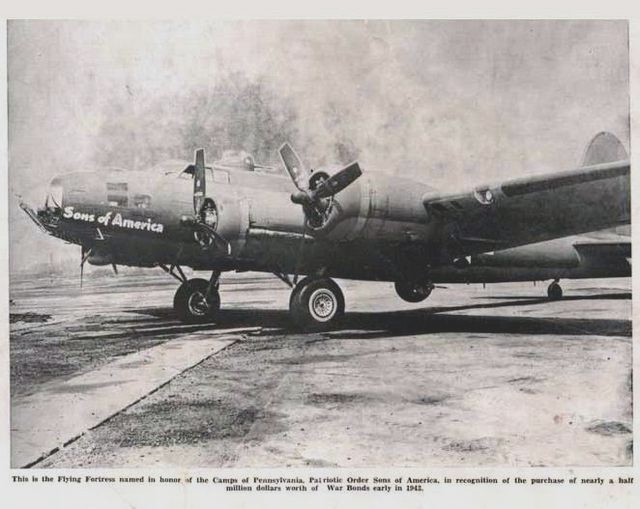 Below is the B17 bomber that the Army named after the Patriotic Order Sons of America for raising funds for the War effort.